Performing the Art of Street Yoga @ Putrajaya, Kuala Lumpur and Jonker Street, Melaka. This Street Yoga photos of me was taken during the shoot break for Jack and Monica Pre-Wedding photos, (Angeline) I'm their photographer and was coached by Habe (Professional Wedding Photographer). Coming soon...I'll publish some of their pre-wedding photos....still in the process of touching up! Let's Get Fit and Healthy Together! 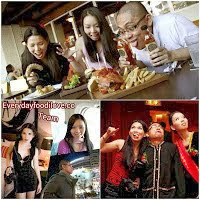 Exercise and Move more....You can Eat whatever you like moderately...live life!